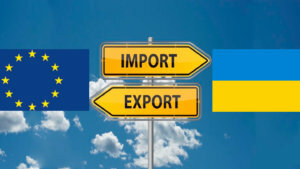 Ukraine in 2018 used 11 out of the 40 quotas for duty-free exports under the free trade area (FTA) agreement with the European Union, while export quotas for processed products from oil, sugar syrups, and an additional quota for exports of mushrooms were not used at all, according to the Ministry of Economic Development and Trade. Ukraine has not yet received permission to export red meat, therefore its companies also did not use the quota for pork, lamb, and beef. The remaining quotas were used partially, the ministry said. In 2018, the country fully used quotas for exports of corn, honey, corn flour and granules, grape and apple juice, processed tomatoes, processed malt and starch, soft wheat, wheat flour and granules, barley grits and starch flour, and the major quota for exports of poultry and semi-finished products from it. In 2018, the main quota for exports of mushrooms was used by 0.03%, the quota for exports of cigarettes by 0.01%, food products by 0.9%, processed products from dairy cream by 4.2%, ethanol by 10.4%, processed products from sugar by 13.9%, milk, yoghurt and cream by 15%, barley by 16.6%, dairy products by 22.1%, milk powder by 24.1%, and oats by 36.5%. In addition, Ukraine has used the basic quota for exports of eggs by 74.6%, and an additional one by 48.3%. 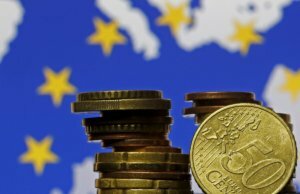 Minister of the Cabinet of Ministers Oleksandr Saenko expects that the next tranche from the European Union (EU) in the amount of EUR 10-20 million for governance reform could arrive in April or May 2019. “We had a very good political dialog with our European partners. They already have an official position regarding readiness to continue supporting this reform. We expect the next tranche in April-May,” he said in an interview with Interfax-Ukraine. 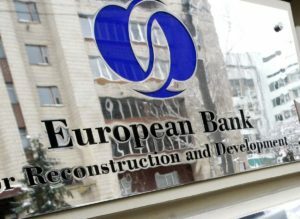 According to Saenko, the amount of the tranche will depend on the criteria, but according to forecasts, next year Ukraine will receive about EUR 10-20 million for this reform. “Next year, much will change in the remuneration of civil servants. The remuneration of new reform specialists is a prototype of the remuneration model of civil servants, where the fixed part is at least 70%. This model is laid down in the law on public service. For specialists on reform issues, these parameters have already been established. We have limited the bonuses to 30%. This makes it impossible to establish sky-high bonuses,” the minister added. Saenko said that now there is still a big imbalance in the system itself, when the position salary is minimal, and total wages and salaries increase significantly due to allowances and bonuses. This, according to the minister, creates dependence on the political biased will of the chief with all the attendant consequences. “The new system will be more transparent and balanced, and we will gradually transfer the financing of the reform at the expense of the main programs of the ministries’ central offices,” Saenko said. 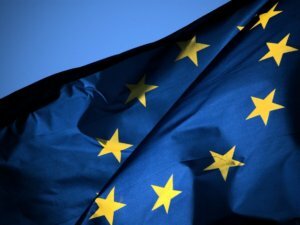 The European Union (EU) continues the U-LEAD with Europe: Ukraine local empowerment, accountability and development programme and would provide EUR 50 million for the implementation of the second phase of the programme. The press service of Deputy Prime Minister, Regional Development, Construction, Housing and Utilities Economy Minister Hennadiy Zubko has reported that this was discussed at a meeting of the deputy prime minister with Head of the Support Group for Ukraine in the European Commission Peter Wagner and Head of Cooperation at the EU Delegation to Ukraine Stefan Schleuning. “We continue successful cooperation with the U-LEAD project. The road map of cooperation will remain the same, since Ukraine’s agreement with the EU on cooperation under this project complies with the European Charter of Local Self-Government. By the end of January 2019, together with our international partners, we will prepare action plan 2020 and on its basis we will propose the structure of the Central Reform Office. We have many new tasks, in particular, work on electoral legislation and cartographic works for modeling the processes in the regions,” Zubko said. According to him, now the country, in particular, the central and local authorities, the parliament, and local authorities, faces a number of tasks, the implementation of which will lead to the successful implementation of the decentralization reform. This is the creation of a new territorial base and the holding of elections in 2020 on the new administrative and territorial map of Ukraine. The deputy prime minister said that synchronously, local governments, regional administrations and more than 10 ministries should advance in the creation of the sub-regional level and their own territorial structures. “In 2020, the issue of the new electoral legislation on local elections will appear. And we will propose changes to the legislation. We will insist on involving the public in the electoral process. Time is short – two years. This is very little for these tectonic changes. However, we have strong support from international partners,” Zubko said. 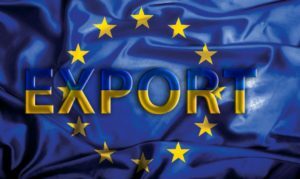 Ukraine as of November 26, 2018 fully used 10 quotas for duty free exports of food under a Free Trade Area (FTA) agreement with the European Union (EU), particular, quotas for honey, cereals, malt and wheat gluten, preserved tomatoes, grape and apple juices, wheat and corn, butter and poultry. According to a posting on the website of the Ukrainian Agribusiness Club (UCAB), Ukraine also almost fully used quotas for starch (95%) and garlic (96%). The UCAB reminded that from October 1, 2018 the second year of additional quotas for five groups of goods began, and two groups have been already closed (honey and preserved tomatoes). “Before the end of the year, additional quotas for grain will be in effect, of which the volume for wheat and corn has already been used, and only 23% is used for barley,” the UCAB said. As reported, in January-October 2018, exports of agricultural products from Ukraine amounted to $14.8 billion, which is $165 million more than a year earlier. 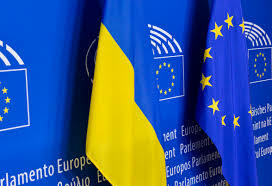 In addition to quotas for Ukraine, quotas on duty free import of goods from EU countries to Ukraine are still in effect. These include quotas for the following groups of goods – sugar, poultry meat (primary and secondary quotas) and pork (primary and secondary quotas).